The Discovery Channel aired a show about food allergies, An Emerging Epidemic: Food Allergies in America (click on the link to watch the 1 hour episode). If you have not seen it, I would encourage you to watch it, especially before reading this post! 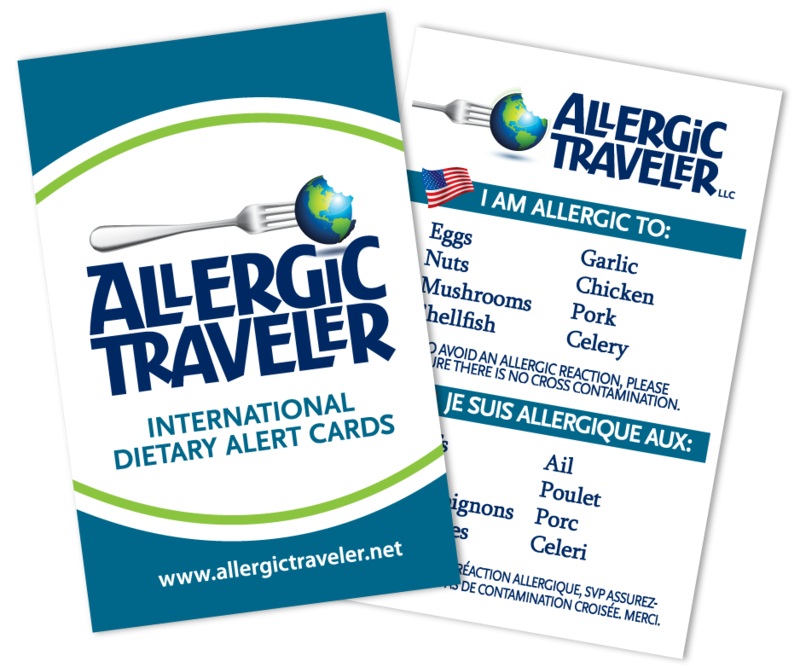 Clearly because of my food allergies as well as this business, this Allergic Traveler took a special interest in it. First off, I am so happy to see that the show represented a large segment of the allergic population. They had children, teenagers, adults, boys and girls. I keep thinking about what this show would have done for me 25 + years ago, when I was struggling with my food allergies at school. As stated in the show, today’s figures show that there are approximately two kids per class with an allergy. When I was a kid there were only two kids per SCHOOL! I know because I was one and my sister was the other. The show gave me a sense of elite ness, like I was part of a special club. I rarely feel that way, unless I am at a FARE walk. As my husband lives and breathes allergies with me, he took a special interest in watching the show. I kind of knew what to expect. There was going to be hospital scenes, reactions scenes, some experts in the field along with some kids talking about what its like to have food allergies. Again none of this is new to either of us, as we go to the hospital, I have reaction, I speak with specialists etc. What was new to me was my husband’s reaction. After being married for 10 years, I would not expect him to surprise me but he did. Here’s why: at my house we have some of my food allergens, and some we don’t have. I know there are moms that disagree with this, but I know what works for me. I do not feel like I should have other people cater to me, because of my allergies. That being said, there are a few allergens we don’t have. For instance, I am highly allergic to eggs and shellfish. I don’t like having them in the house for a few reasons. For one, to me, they stink and two, they can get into everything (think egg yolks.) My husband will not have them in the house unless I am out of town. Which I am fine with and I believe it is a good compromise. On the other spectrum, I am mildly allergic to nuts and peanuts. He has these in the house at all times. He has his special shelf and that is fine. However after watching the show, he said I was crazy for allowing him to have those in the house and he was going to get rid of all of them immediately. That as well as many other tear jerking moments in the show made me cry all over again. If you have not watched it, get your Kleenex box. You need to see it. You also should make anyone in your family watch it. I have heard some parents are not allowing their children to watch it. I have problems respecting that philosophy. Your child is the one with the food allergy, not you! They are or will be ultimately the only people responsible for feeding themselves. It is VITAL that they watch it. Thanks a lot for sharing the link to the Discovery channel’s show on Food allergies – very informative.